Ever since the Sumerian cuneiform scripts were deciphered in 1857, the fabled “land of the civilized kings” has never failed to garner the attention, and feed the imagination, of cult leaders, artists, adepts, mad men, linguists, science fiction writers, and dedicated dreamers from all walks of life. What it actually failed to do is imbue credible Black scholars with the impregnable combination of confidence and acumen, that would have been needed to write a respectable book that is entirely dedicated to explaining the African origins of Sumerian civilization. All of that changed when Hermel Hermstein, who has nearly 20 years in the study of ancient Sumer under his belt, released BlackSumer: The African Origin of Civilization in 2012. Hermstein has also published two subsequent works in his Black Sumer series (Black Sumer: The Physical Evidence Parts 1 and 2) where he further drives home the case for Sumer’s Kushite, and early West African origins. For intellectual novices who’ve only dabbled in the study of ancient Sumerian history and mythology by watching reruns of the History Channel’s Ancient Aliens series, Hermstein’s thesis might appear to be somewhat unfathomable. However, at one time, there actually seemed to be a consensus among historians and archaeologists, alike, that the Sumerians originally came from Africa. Sir Henry Rawlinson, who was an army officer for the British East India Company and translator of the first cuneiform scripts in the 19th century, said that the language of the early Babylonians “was undoubtedly Kushite or Ethiopian.” For those who may not be aware, early Babylon immediately succeeded ancient Sumer and Akkad on the Mesopotamian timeline of city states, therefore the two share the same cultural DNA. Herr Eugen George, a German historian who wrote at a time when the infamous Nazi party was still rising to prominence in government, said that “A splendid era of black seems to have preceded all the later races… We have long had proof that a primitive Negroid race of pigmies once lived around the Mediterranean. Blacks were the first to plow the mud of the Nile, they were the dark-skinned curly-haired Cushites. Blacks were masters of Sumeria and Babylonia before it became the country of the four tongues.” There are numerous quotes like these going as far back in time as the Middle Ages, and Hermstein references so many of them in his books. Unfortunately when the new age community got its grubby paws on Sumerian mythology, countless books were written on the “mysterious origins,” of the suddenly racially ambiguous Sumerians. Usually, when European authors write about the “mysterious origins,” of influential people from the ancient world, it is usually a veiled allusion to the fact that those people would have been called “niggers” or “wetbacks” had they lived in the southern part of the United States during the Jim Crow era. At the end of the day you can say what you like, but Hermel Hermstein has balls. He dared to go where many brilliant scholars would have liked to go, but decided not to for their own personal reasons. With a fourth book detailing the African origin of ancient Sumer on the way, Hermstein took some time to chop it up with Mind Glow media on a Saturday afternoon about his outstanding research. 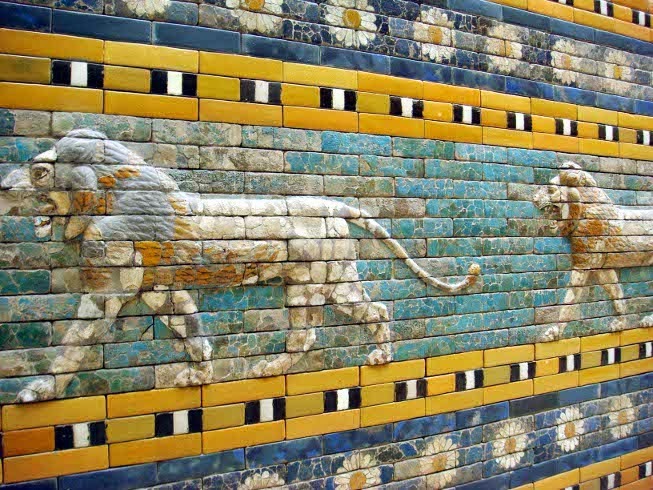 During a recent telephone interview from his home in the UK, Hermstein dishes delicious food for thought concerning the ancient Sumerians, and the proper methodology needed to study them. Mental nourishment is being served. Come and get yourself a plate. Hermel, right now as it stands, I would say that you have about 600 pages worth of information showing the cultural, historical and linguistic relationship between ancient Sumer and Africa, which is something that we have not previously seen. There have been a few books like “African Presence in Early Asia,” “Ancient Future,” and “Wonderful Ethiopians of the Ancient Cushite Empire,” which briefly addressed the African origin of ancient Sumer, but no one—as far as I know—has dedicated three entire books to the topic. And even with that said, you still have a fourth book on the way. Sumer was a major world civilization—some say the oldest in the world. Why do you think it has taken this long for a scholar to get these types of books out to the public that explore Sumer’s African origins? Yeah, they look like white individuals. That’s why people would rather write articles than write a whole book, because at some point, you’re going to have to bring up the issue of art and I had to devote two whole chapters to that subject. I dealt with sculpture first, then after sculpture I deal with color. Those are some of the issues I address. The other thing is most scholars didn’t know what to do with the language. They had no context for it. When the mainstream scholars said that the ancient Sumerian language is not related to any known language, the Black scholars didn’t know where to take it from there. I think that’s why no one really wanted to write an entire book on the subject. In my first book I introduce the basis for understanding historical linguistics in chapter one. In chapter two I explain the underpinning of historical linguistics as far as genetically comparing languages. I haven’t seen anyone do that. I listen to people—and I’m not going to mention any names because it wouldn’t be nice—but when I’ve listened to people speaking and comparing Sumerian and African languages, they haven’t always struck me as understanding the principles behind the comparative method, first of all. Second of all, they don’t seem to grasp why the comparative method works. You can read entire pages of people comparing Sumerian and African languages, and the comparative method is not mentioned once. That’s disturbing, and worse still are the irregularities, because sound change is not mentioned. It would be like going to Harlem and seeing people selling books that teach people how to drive, and because this is in our community, it is something that we feel more involved in, more trustful of. But then when you read the book that is supposed to be teaching people how to drive, they don’t mention anything about gear changes. People who drive would know that that is such a fundamental aspect of driving, that you would have to question whether or not the people who wrote the books actually know how to drive. That is what I have sensed in terms of people dealing with linguistics when comparing Sumerian and African languages. That’s why I felt that it was particularly important to explain how you do it, before actually doing it. I also invited people to look at the particular books that I outlined. You can see specific kinds of examples in those books so that you know exactly what the comparative method is. You learn about the irregularities of sound change, and you also see sound correspondences between genetically related languages and what they should look like. When did you begin your research? I started with this particular study in 1994 and I didn’t finish until about 2010. It really showed me that just when you think you’ve got it, something else comes along and you realize that you haven’t gotten it, and then you have to extend your research. And just to get a firm grasp of subjects like historical linguistics, if you’re not at a university doing it under a systematized syllabus, it takes years and years of study. It takes absolutely a long time and you cannot do it without the standard texts on the subjects. In The African Origins of Civilization, volume one, I make it clear at the end of the third chapter, that here are the books in which you’ll find all of your information. I had to do that because I wanted to make it clear that there are standard texts on just about everything. For example if you’re doing your degree there will be a module on historical linguistics and there will be standard texts for that module of study. It may be called something else, but it will be about historical linguistics. You can’t do without reading those standard texts. There’s no second way. I wanted to bring to people’s attention the discipline of phonology and how important that it is in understanding the genetic linguistic comparisons between languages. If you’re not going to go the university route, you still have to make sure that you have a firm grasp of the subject. You also have to correspond with people who are in Universities like lecturers, PHDs and professors, to make sure that your understanding of the basic concepts that you are going to be using to build your work are actually correct. My professional background is in public relations. I used to work on the rail, which is Britain’s inner-city transit system, doing public relations. Now, I’m pretty much 24 hours a day involved in the Black history struggle—writing it, selling the books. That is now my life. But my background is in public relations on the rail. I did study, for a year, Sumerian language at Birkbeck College, which is a part of the University of London. It was essentially introductory Sumerian to make sure that you had a grasp of the vocabulary, in particular, the grammar of Sumerian. That was very useful in comparing it with the Bantu languages, which is what I did in the African Origins of civilization. For your future readers who may not be familiar, what is the real significance of the University of Pennsylvania’s Sumerian Dictionary in formulating your overall thesis? When I started my research there wasn’t a Sumerian dictionary out there. I went to The School of Oriental and African Studies, which is also a part of the University of London. I went there to find out from the scholars there what the situation is with the ancient Sumerian dictionary. I did this in 1995 and every year I kept on finding out what the progress was. I kept on being told the same thing, that there was an old [Catholic] priest who had decided to do a Sumerian dictionary. He did “A,” went as far as “B” and then he died. His studies were eventually continued, and then in 2004 the University of Pennsylvania came out with their online Sumerian dictionary. So in 2004, for the very first time, there was a university-backed dictionary in the ancient Sumerian language. There hadn’t been one before. If you think about it, that’s kind of amazing, because they deciphered this language in the mid 19th century, and it took this long to get a dictionary out. It’s very standardized. There were disagreements about certain word formations before. In the past, people were using several different sources to compare ancient Sumerian with other languages. A lot of people were not agreeing on the meaning of certain words, or even the sound form of certain words, but you produce contradictions in your work when you do that. Have you received any criticism from credible scholars on the basis of your research? Yes, and no. For this book, I haven’t heard anything. However in 2004 I posted some messages on the message board for the University of Chicago where they have the Oriental Institute. The linguistic comparisons were still somewhat embryonic at that stage. The dictionary had just come out, so there were some criticisms of what you might call “early draft.” I developed it as I was going along and answered just about every criticism that the other linguists who were there were coming up with for my work. There is a strong notion among those in the new age community that the Anunnaki were extraterrestrials from the planet Nibiru who came to this planet in spaceships to mine gold. Do you have any thoughts on that? Yeah, I do. This is coming from Zechariah Sitchin. Sitchin’s reading of the tablets is not the standard agreed reading of the tablets—now that doesn’t necessarily mean that he is wrong, automatically, because one can say that my thesis is not the standard agreed position on Sumerian either. The standard agreed position is that ancient Sumerian is an isolate, meaning that it is not genetically related to any other known language. I am saying something different. However in Sitchin’s case, he hasn’t really shown that his interpretations are correct and that the standard interpretations are wrong. I haven’t really seen that in the bits of his work that I’ve read, so I did not see it as a very convincing argument. As far as his whole notion of extraterrestrials coming to planet earth—who knows—maybe extraterrestrials did visit earth in the past. But I haven’t seen the evidence presented in a way in which I can say that it is the most probable explanation. The more familiar you are with the subject, the more you realize that there are alternative explanations for a lot of this evidence. Even his equation of the ancient Sumerian word for “rocket” with the word for “gear,” or “near,” I found particularly unconvincing. Some of the things that he was saying meant “rocket,” the Sumerologists were saying were cuneiform pictures for objects that were used every day in ancient Mesopotamia and had nothing to do with rockets. That’s the problem with Sitchin’s work. You make a very compelling argument in your book that the Sumerians were the descendants of Africans who migrated from the Niger-Congo region of West and Central Africa. Do you have any knowledge, based on your research, that explains the cause of this migration? I do not. However, at the back of the book there is a clue, a hint towards why this migration may have taken place. Based on the information that I presented in chapter five, six, and seven, what I suspected was the reason was the drying up of the Sahelian region of West Africa, that is from Mali, Niger, all the way to southern Sudan, Djibouti, Eritrea, Ethiopia—those countries. That drying up lead to a migration of a particular group of people who thought “lets go to other parts of Africa along the same latitude and see whether things are better over there.” We know for certain that between 10-12,000 years ago there was such a drying up. When they got to east Africa they found similar conditions there. There was an article that was done in 2004 by some geneticists who postulated that there was a severe drought in East Africa that lead to the migration of the ancestors of the Semitic speakers, from East Africa into Asia via Arabia in order to escape the drought. I think that it was around about this same time that the ancestors of the Sumerians also left East Africa to go into Asia via Arabia. The only thing is, I think they used water transport instead of land transport. In other words, I think that they went in canoes around Arabia and up into the Persian Gulf, and ended up at the foot of the Persian Gulf in southern Iraq in the marshlands and made a new home for themselves there. This area was very similar to where they came from in Chad, where there is a very grassy environment. They had learned how to make things like houses, baskets and mats by using reeds. That is a skill that you also find in the marshlands of southern Iraq. So essentially, it appears to have been drought-driven as the evidence from the time suggests. One of my favorite chapters in book one is when you explore ancient Sumerian religion in its Niger-Congo context. Were there any other interesting parallels you made since publishing the first book? I haven’t picked up on anything since then. But I will say that the parallels that I found were typical of the kinds of things that you find among the cultures who speak the Bantu languages in Southern Africa, East, and Central Africa. Not only that, but the general Niger-Congo cultures. For example there is a very strong belief in water spirits. This belief is so strong, even among people like the Dogon. If you know where they live, it’s a very dry place, yet they have this very strong belief in water spirits even though they are not living anywhere near a body of water. This theme also comes out among the ancient Sumerians. 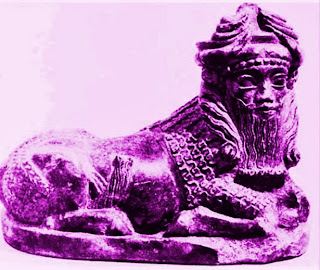 The god who is most involved in human affairs is the god of water [Enki]. He has a whole entourage of water spirits with him, and the origin of Sumerian civilization is supposed to have come from this deity and his entourage of spirits. Again, Dogon culture is intimately connected with the water spirits. They even subscribe to the idea that these beings are half fish and half human. This is coming from an interesting fusion of ideas that can be found in West African religions. Yes, Mami Wata definitely comes to mind in that regard. I recently told my readers about an oral story about the creation of humans among the Efik people of Nigeria involving the deities Abassi and his sister-wife Atai. In my independent research it very much resembles the Sumerian account of Enki and his sister-wife Ninhursag. Did you come across this Efik myth at all in your research? No, I have not, but I’d be very interested in reading it, because the Efik are an interesting jigsaw piece in terms of the goal of reconstructing the Niger-Congo. I notice in your work that you make a very strong argument for a Pan African, Afrocentric approach to our understanding of the cultures that shaped ancient Sumer. Some people I’m sure who have purchased your book might look at your name “Hermel Hermstein,” and ask themselves “is this a white man writing from this perspective?” I don’t see any pictures of you on the internet, so I gotta ask you, what is your race ? I’m as African as they come. You can pull a name out of the bag. We could start with Robert Mugabe, who is the president of Zimbabwe. I am no less African than him. The confusion comes from the misconception that African Americans—as well as other Diasporic Africans—have European names, while Africans have African names. It’s not always that clear cut. I’m sure you may have heard of the Sharpeville Massacre that happened in South Africa in the 1970s. The first person to fall in the massacre was a man by the name of “Hector Peterson.” I can assure you that he was not a European. You can say that Hector Peterson is the Crispus Attucks of the Sharpeville Massacre, so you did have Africans with European names. We’re certainly not the majority, but where out there. If you go to Ghana you will come across Scottish surnames and so-forth. The reason why this is the case is because in different African cultures, different names are important. So in African cultures in which the surname is the most important thing, the people kept their surnames and they may have a European first name. In some cultures, surnames are not of particular importance. Totems were more important. People will have their African totem, but their surname may be European which happened when people converted to Christianity. And to tell the truth, it would be arbitrary, because a Christian name is really supposed to be a name out of Bible, but what happened in Africa is the priest who converted a village to Christianity may have had the last name “McCarthy,” so a few people out of that conversion would take on the same last name. It was definitely a point of interest for me because one day I was reading your book and I sensed you had a very strong desire to let the reader know that there was a thriving Black civilization in the Middle East in ancient times, but your tone, the way you wrote, was not indicative of what I generally get from European authors who are inclined to tell the truth about Black history, if you understand what I’m saying. Yeah. I’ve often found, in my experience, that you can tell who’s writing more by looking at what’s said, rather than by looking at the name. It’s like when I first heard of Ivan Van Sertima, I was sure that he was European, but he’s not. Take someone like [Cheikh Anta] Diop for example. He was someone who was using African history to reconstruct a Pan African culture, with a view to some kind of political movement around it. Straight away, that would tell me that that’s an African just based on the degree to which he is willing to go to fix the horrors of the ma’afa. That is something that the entire Diaspora would have been able to rally around regardless of what African culture you are from. People’s loyalties come through very clearly in their writing. For example if I read something that says “The ancient Egyptians were dark skinned and today we could classify them as Black,” you will find that if it’s a person who is European they’re going to give something away. If you read long enough you’ll find the evidence that the person is a European. The tone of the writing is often uncommitted, detached—which is not necessarily a bad thing when you’re talking about credible scholarship. But the writing lacks conviction and confidence. The author often sounds as if they’re writing about ancient strangers as opposed to deceased distant relatives. On the other hand, scholars who are of African descent sound more like they’re meditating with a pen in their hands, recalling ancient ancestral memories embedded in their DNA as they write. Between ancient Kemet (ancient Egypt) and Sumer, which would you say is the older dynastic civilization? I would say Egypt is the older because we have a clear first dynasty of around 3100 B.C.E.—although there are older estimates—with contemporary records. The first Sumerian dynasties for which we have evidence from an inscription is around 2700 B.C.E. That was around the time of Enmebaragesi, who was king of Kish. With that said, I would therefore have to say Egypt. Why should people add your series of books to their personal libraries? How do they actually stand to benefit from these books? They’ll obtain definitive evidence of Black people in Sumer. You will also learn that not only are they Black, because the people in New Guinea are Black as well, but they are also something else. They were of African origin. We can demonstrate that with probabilities using the linguistics. You will also learn that not everything that the mainstream scholars say is necessarily the case. By all means we should still use and master mainstream techniques for our research and understand how they work. You will learn that you should never look at not going to a university as an automatic barrier standing between you and having a firm grasp of the discipline that you are studying. You can still have a firm grasp of it, but you have to have an idea of the standard texts in that discipline. You must read and master those texts. You will also learn that before you understand anything you have to understand it fully and properly. Once you’ve understood it properly, you can then critique it. Your methodology may be fine, but it may be misapplied to come out with conclusions that the methodology itself doesn’t support. This is what was done by scholars who said that Sumerian language was an isolate, when it in fact has African relations. People will also learn the relationship between sickle cell and civilization. I would never think that there is a relationship between sickle cell and civilization, but apparently there is.